Debt payoff trackers are a great way to track your debt free journey! Tracking your debt payoff doesn’t have live within your loan accounts. Visual debt payoff trackers are one of the best ways to make progress on your debt free journey. 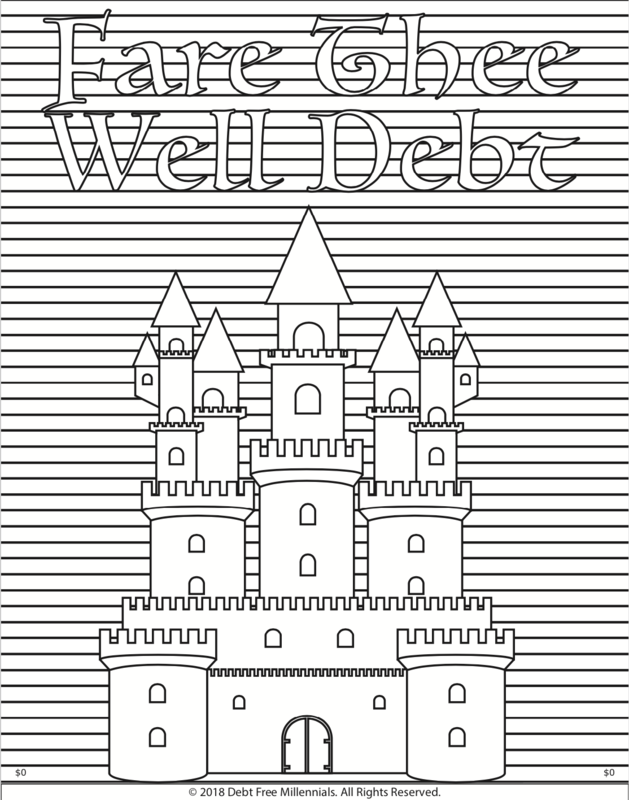 A debt free chart is a visual tool that you can print, color in and track payments as you make them. They can work for student loans, credit card debt, or car loan. Read more on how debt payoff trackers work to help you pay off debt faster. If you want to eat better, you buy the right food. If you want to journal every day, you have your journal on your desk where you can see it. It’s the same thing with your debt free journey. If you want to pay off your debt faster, you keep your progress where you can see it. Using a debt free chart helped me tremendously during my debt free journey. Every single time I would make a payment, I would color in a new line. This helped me see how far I had come and kept me focused. When I was paying off $35,000 in student loan debt, I knew I needed to celebrate little milestones to keep me motivated. I still incorporated travel and eating out during my debt free journey because YOLO. Once I hit certain milestones, such as paying off $10,000 or $20,000, I would do something to celebrate. The debt free chart reminded me to have fun. I took my debt free journey very seriously. So having the debt free chart helped me see that I was making a lot of progress and I needed to celebrate it. I have seen a lot of variations of debt free charts. There are simple ones that include text. There are ones where you can color in little boxes. Then there are the Debt Free Millennials charts that take it to a whole. Notha. Level. While you can track your debt payments using a visual tracker, it’s not the only way to pay off debt fast! A lot of millennials inside of the Debt Free Millennials Facebook Group have mentioned that spending is a big issue. Whether you enjoy spending money on Amazon or eating out, it can be a huge distraction to your debt free goal. A really great way to get your spending under control is to track it. Identify your spending problem areas and start tracking it monthly. You can create separate trackers by putting each category on its own sheet of paper. I also created a 50-page bundle with trackers already included in the How to Control Your Spending Workbook. Track your debt free progress using one of my downloadable debt free charts!